You do not need to be a biologist or medical doctor to help hasten the arrival of indefinite life extension. An important array of activist endeavors, which are laying the groundwork for the eventual achievement of unlimited lifespans, can be implemented by anybody. They range from giving out books to playing games to simply running one’s computer – all the while making important contributions to scientific progress and the receptiveness of the general culture to the feasibility and desirability of indefinite longevity. If you want to glimpse the possibilities in 90 seconds, watch my recent video, “What Anyone Can Do to Advance Indefinite Life Extension”. In this article, I offer a more detailed overview of some immediately available activism options that anyone can pursue. The time commitment involved in each ranges from minimal to modest, but virtually any of them can fit into the schedule of anyone who recognizes the value of this amazing life we have and the importance of prolonging it as far as possible. The Movement for Indefinite Life Extension (MILE) is not a formal organization, but rather a coalition of activists working toward the common goal of achieving indefinite lifespans for people alive today. The MILE coordinates projects and shares articles, images, and news stories via its Facebook group – also accessible using the URL http://themile.info. One of the MILE’s major purposes is to raise awareness of the feasibility and desirability of indefinite life extension and to create a critical mass of support for this most vital of goals. The number of “likes” on the MILE Facebook page is a concise indicator of the movement’s reach, and the eventual goal of the MILE is to achieve 8 million likes by July 17, 2017. Following an incremental approach, the MILE seeks to raise its support by an order of magnitude each year. The goal of 800 supporters was readily exceeded prior to July 17, 2013, and the MILE has launched a concerted effort to reach its Year 2 goal of 8,000 supporters by July 17, 2014. 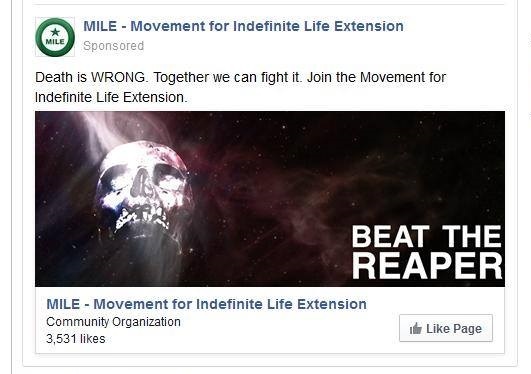 Eric Schulke, who spearheads and coordinates the efforts of the MILE, has launched the MILE Year 2 Goal Fundraiser to fund hundreds of dollars of Facebook advertisements that have already shown success in spreading the message of indefinite life extension to new demographics. Together we can fight it. 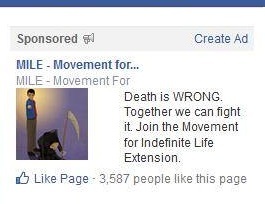 Join the Movement for Indefinite Life Extension. To help the MILE reach its Year 2 goal, you can start by clicking the “Like” button on the MILE Facebook page. Beyond that, if you would like to contribute to the advertising campaign and even develop your own custom advertisement that conveys the message of indefinite life extension, this would go a long way toward building the critical mass needed to catalyze public support for life-extension research. 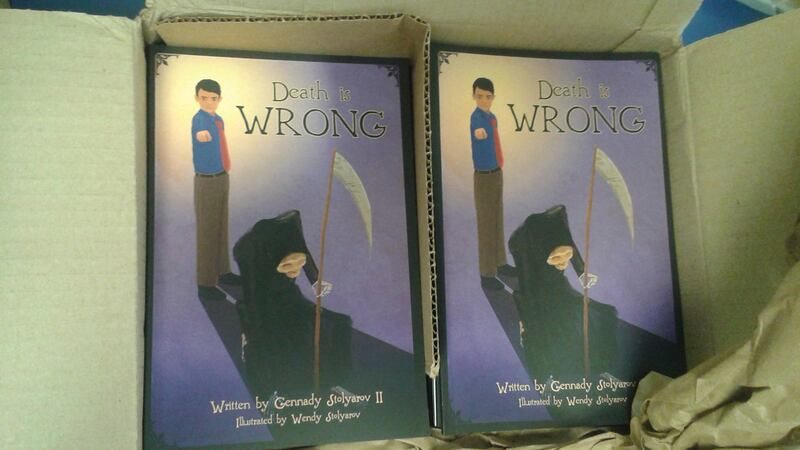 After the successful conclusion on April 23, 2014, of my Indiegogo fundraiser to spread over 1,000 copies of the illustrated children’s book Death is Wrong to kids, free of cost to them, I have worked assiduously to coordinate a worldwide distribution effort. Already, 644 out of the 1,029 total available books have been sent to longevity activists throughout the world. Countries where the books have been shipped thus far include the United States, Canada, Mexico, the United Kingdom, the Netherlands, Poland, India, Indonesia, and Singapore. Tens of dedicated longevity supporters have already come forward to request absolutely free shipments of books, but we need more activists to help us distribute the remaining 385 books in their local areas. 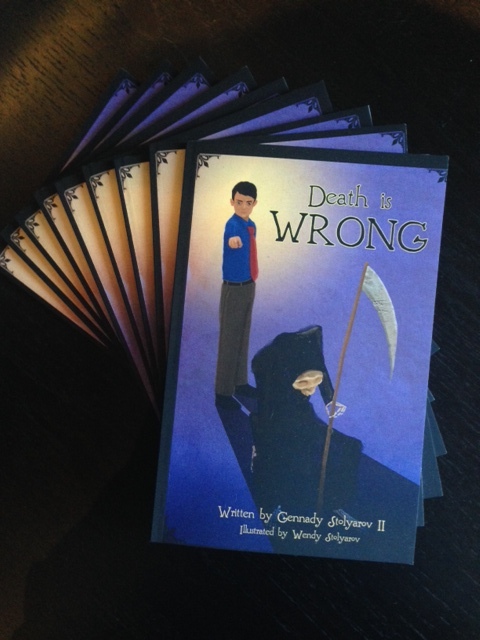 Recipients have wide discretion to use their creativity in how to offer the Death is Wrong books to children, as long as the books are made available free of cost and are not resold. Books may be given away to kids directly, lent to multiple kids, given to schools and libraries that will accept them, or used at public readings – among possible other options. The early successes of the book-distribution effort are among the most heartening and encouraging developments I have observed. 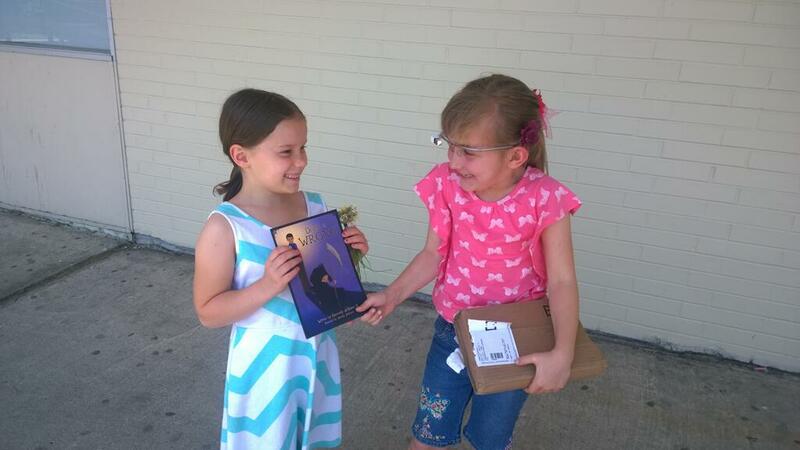 Here are some photographs that longevity activists have sent in of their book shipments. Here is a charming interview by Aleksander Kelley of his sister Hanna, who is spreading Death is Wrong to the kids she knows. Help make future scenes like this happen. 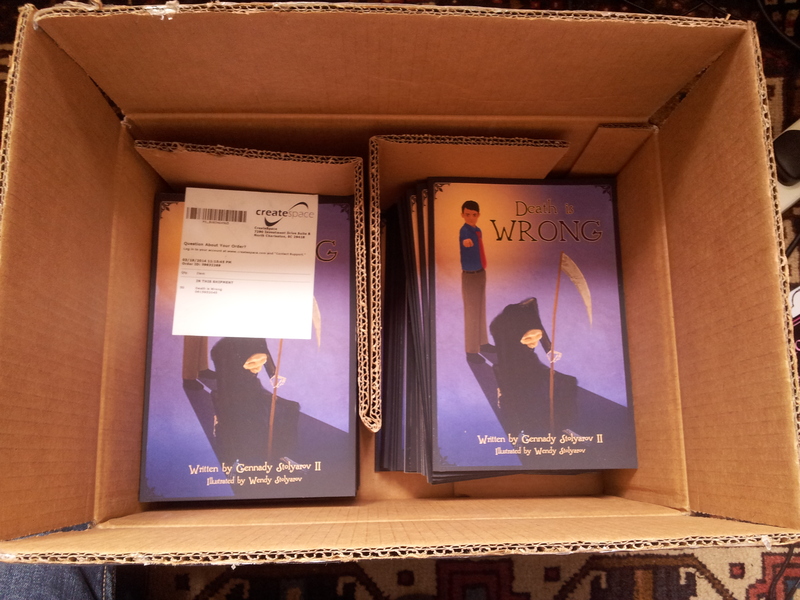 Requesting a shipment of Death is Wrong books is simple. Send me an e-mail to gennadystolyarovii@gmail.com with (i) your name, (ii) your mailing address, (iii) your statement of support for indefinite life extension, (iv) the number of copies of Death is Wrong requested, and (v) your plan for spreading the books to children, free of cost to them. Once the shipments arrive, any additional images and videos of the books and events at which they are shared would be most welcome. They can help spread the message of indefinite life extension even further and show the world that the momentum for this cause continues to grow. Would you like to help cure cancer, Alzheimer’s disease, Huntington’s disease, and other deadly ailments, just by running your computer? Most people’s computers spend much time absolutely idle; how about putting that idle time to good use, at minimal additional cost? Distributed computing initiatives such as Folding@home, Rosetta@home, and World Community Grid are absolutely free to join. 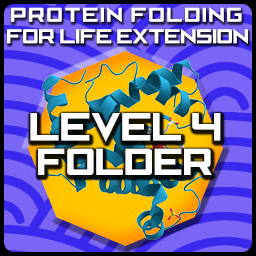 You just need to download a program that runs the calculations involved in protein-folding simulations and other research efforts while you are not using your computer. Already, these distributed computing initiatives have led to several major medical research breakthroughs, such as this one by Chiba Cancer Center in Japan, which has identified seven drug candidates in the fight against childhood cancer. You can read more about the applications of protein-folding simulations to disease research in this brief post by David Baker of the University of Washington. While no single medical breakthrough will achieve indefinite lifespans yet, every victory against death and diseases will help us approach that goal. The more of us survive the common killers of our time, the more of us stand a chance of personally witnessing the arrival of longevity escape velocity. As an additional way to raise the profile of the ideas of indefinite life extension, it is recommended to join a distributed-computing team that explicitly embraces the struggle against senescence and death. 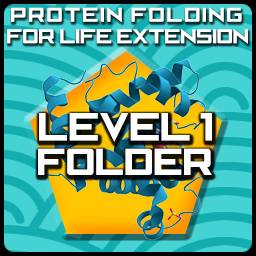 On Folding@home, The Longevity Meme team has been folding for years and is ranked 156th out of 220,186 teams as of June 5, 2014. I am spearheading a collaborative effort between The Longevity Meme team, LongeCity, and my online magzine – The Rational Argumentator – to attract renewed participation in Folding@home and The Longevity Meme team among longevity advocates. 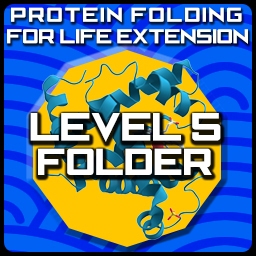 To provide an additional incentive to join, I am offering a series of five Protein Folding for Life Extension Open Badges, designed by Wendy Stolyarov and available via Badg.us. ● Level 5: 500,000 points earned on Folding@home. To request a badge, simply send an e-mail to gennadystolyarovii@gmail.com. Include your user name on Folding@home so that your points earned could be verified. 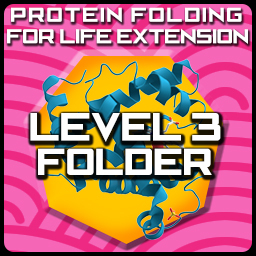 You can earn a badge no matter what team you are on, if any, as everyone’s commitment of resources to the protein-folding effort helps the prospects of indefinite life extension. However, you are also encouraged to join The Longevity Meme team in order to help improve its ranking and raise public awareness of the effort life-extension activists are putting into the fight against disease. On Rosetta@home, the LongeCity team explicitly embraces the ideas of indefinite life extension. On World Community Grid, the Endthedisease team supports life extension and has been involved in numerous disease-fighting computational efforts since 2007. Later this year, the Endthedisease team is anticipated to begin running contests with prizes for top contributors. By flying a spaceship through an asteroid field in a computer game, you can help cancer researchers analyze data at a much faster rate than they could before. Play to Cure: Genes in Space is a mobile game released by Cancer Research UK, which anyone with a tablet or mobile phone can play for free. The stated aim of this game is to hasten the day when all cancers are cured – which is, incidentally, the key objective of one of the seven prongs of Dr. Aubrey de Grey’s SENS approach; Dr. de Grey has emphasized that cancer is by far the predominant way by which age-related nuclear mutations harm us. You can read about the mechanics of and science behind Play to Cure here and watch this video introduction to the game. 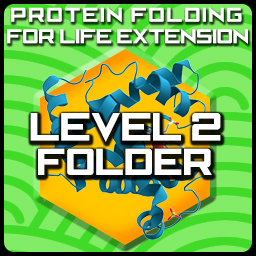 Foldit is another free game that enthusiasts of life-extension research can play in order to add the human touch to protein-folding simulations. In 2011, Foldit players discovered the protein structure of a retroviral protease of the Mason-Pfizer monkey virus, an AIDS-like disease in monkeys. See this list from the Citizen Science Center for more possibilities regarding games you could play and simultaneously participate in innovative citizen-science initiatives – including many devoted to the fight against disease. Games hold out the promise of enabling monumental contributions to scientific research by the general public. A game designed to be sufficiently engaging could attract thousands of non-scientists to do the work that research scientists could conceivably outsource in order to accelerate the rate at which certain kinds of data analysis are performed. The more quickly scientists can iterate through their experiments as a result, the sooner the cures to major diseases will arrive. Of course, I would urge all life-extension supporters to donate even modest amounts of money to research and advocacy organizations such as the SENS Research Foundation and the Methuselah Foundation, as well as crowdfunded life-extension research projects that are being undertaken with increasing frequency. Yet, I hope that this overview has led readers to recognize that much can be done in addition to monetary donations. Integrate the active pursuit of indefinite longevity into your life, and you will continue to find easy but extremely important ways to become part of the solution to the most pressing problem of all time. Through our efforts, we will hopefully someday be able to celebrate humankind’s greatest victories in the fight against our mutual enemy: death.